This Sunday, May 23rd OK Go will be giving a concert as the headliner closing the Maker Faire in San Meteo. I’ve just spoken with the band and can confirm that WaterBoy will be a significant part of their show. There may even be a Bubble /BucketHead appearance or three. Embrace the Moisture and Denounce Your Dry Ways! Maker Faire is a two-day, family-friendly event that celebrates the Do-It-Yourself (DIY) mindset. It’s for creative, resourceful people of all ages and backgrounds who like to tinker and love to make things. So much to see, you will need 2 days to see it all! This cute little plushie photo frame is an easy DIY project that doesn’t require any sewing or electronics know-how. It only take about an hour, and all you need is a hot-glue gun and an X-acto knife. The complete Instructable is HERE. GOMI Style “Cardboard Chair” video is up for an award! Click the link below to visit the site and make your vote count! 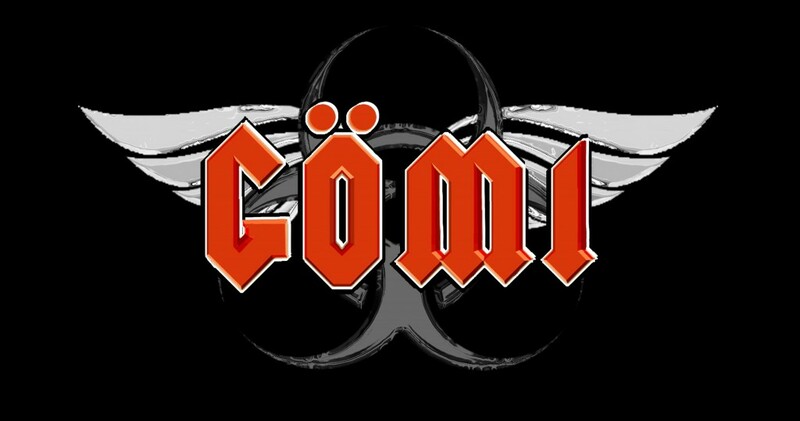 GOMI is currently in 2nd place, so get out there and vote. You can vote once a day, every day – now until Nov. 13th. The Sarah Palin Action Figure – VPILF Edition! 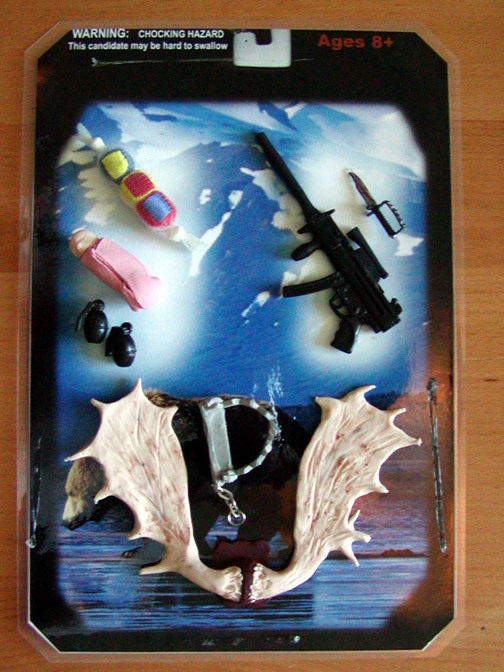 The Sarah Palin action figure – VPILF Edition was made using a variety of techniques. Starting with an action figure of Six from Battlestar Galactica, we carefully save the packaging materials. Then we remove the head and replace it with one made out of Sculpey (Thanks Kat! ), a soft polymer that hardens when baked. Some of the accessories came from my vast collection of toys and toy parts, but most of them were made with the Sculpey. Her glasses were made using a few small wires from an electronics kit and a thin piece of clear plastic packaging cut to the shape of the lenses. The end of the wires are jammed directly into her head to hold the glasses in place. Finally, I used photoshop to create the packaging graphics for the front and back. The two color prints were cut to size and then laminated back to back.